I am very happy to share with my fellow bloggers and Facebook community that four of my recipes has been published in the leading English daily, thehindu.com. These recipes were published in the kids summer special supplement recently. 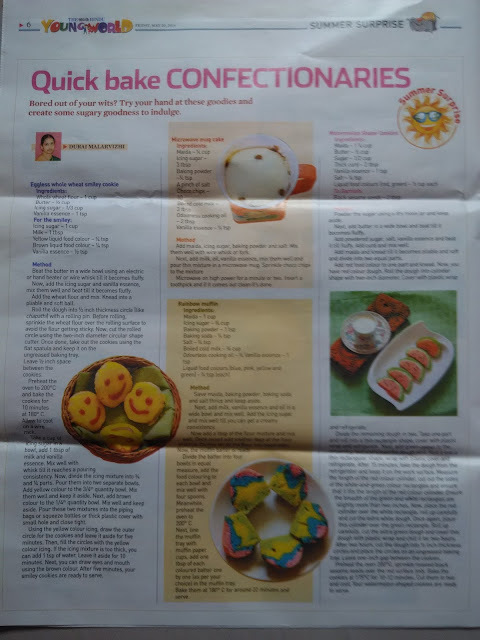 I thank The Hindu newspaper and Archana for publishing my recipes.